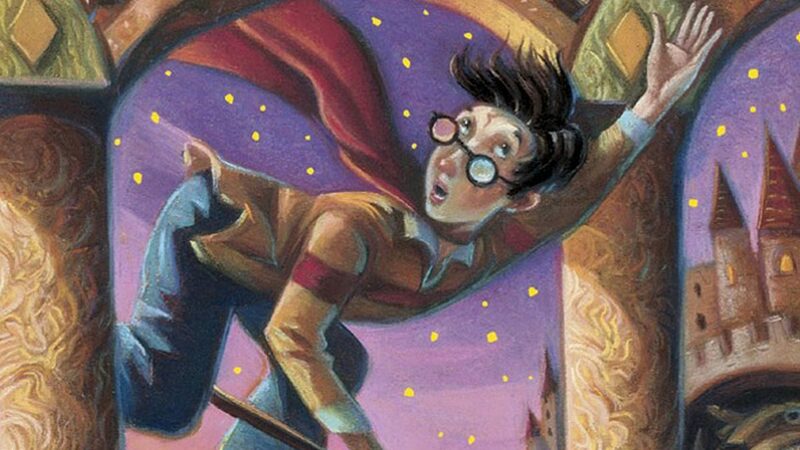 In case you didn’t turn on the Internet yesterday, the very first Harry Potter book – Harry Potter and the Sorceror’s/Philosopher’s Stone – was apparently released 20 years ago. I don’t know about you, but it seems crazy to me that the book series which defined much of my middle and high school years should be celebrating it’s 20th birthday (then again, it seems equally crazy that the last book in the series – Harry Potter and the Deathly Hallows – is nearly a decade old itself). Now, I did not pick up the original Harry Potter book when it came out in 1997. In fact, for a while I dare say I was a Harry Potter hater. My godparents gave Harry Potter and the Sorceror’s Stone to me as a gift one year for Christmas, and I remember being excited to finally read the book I had heard so many good things about. That first chapter though… The Boy Who Lived… Ugh! I found it dreadfully boring. Instead of being about a boy my own age, I was reading some strange book with nothing but old and middle-aged English people living in some English suburb where nothing exciting happens. Not only was there none of the magic I’d been promised, but there weren’t any shape-shifting aliens to make up for it (I should probably note that I was still neck-deep in the Animorphs books at the time). I rather quickly gave up on the book, as there were other, more interesting ways to occupy my time that Christmas. It wasn’t until several months later, when I was stuck on tedious road trip through the Nevada desert, that I finally revisited The Boy Who Lived. I did finally make it through that chapter, only to find that what followed was only slightly less tedious and marginally more exciting. But I kept at it (though mostly out of necessity) and when I reached chapter 15 – with its centaurs and mysterious unicorn murderer – I was finally hooked. I suddenly couldn’t read the book fast enough. If not for being stuck in a car driving through the middle of the desert, I would have immediately pleaded that we go to the nearest bookstore so I could pick up the next two books. Once I devoured those, I eagerly awaited the release of Goblet of Fire (which came out only a couple months later). I must have reread that book a dozen times throughout my teenage years (and I’m not the kind of person who typically reads books more than once). Even today, Book 4 of the Harry Potter series remains my personal favorite. The magic of those books (if you’ll pardon the pun) has always been Rowling’s world-building, although it would be many years before I would ever hear that term. We the readers – along with Harry – step into a world that feels really old. Much like Star Wars before it, everything in the Harry Potter books has a “lived-in” quality. Places like Diagon Alley and Hogwarts have long histories we barely learns, and these places are filled to bursting with characters we barely meet, yet seem to have a whole life that we never get to see. What’s more, all these people, places, and things fit together like an intricate jigsaw puzzle. The level of detail in each novel blew my young mind. It’s possible that now – as an adult – I could find spots where the individual pieces don’t quite fit, but back then I was still under Rowling’s spell. Y’know what: it really has been too many years since I last visited my old friends in the wizarding world. I should find time this Summer to spend with Harry, Ron, Hermione, and the rest of the Hogwarts gang.